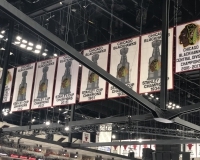 Even for being Chicago’s newest professional sports venue, the United Center has seen quite a bit of history within its walls. 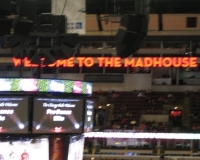 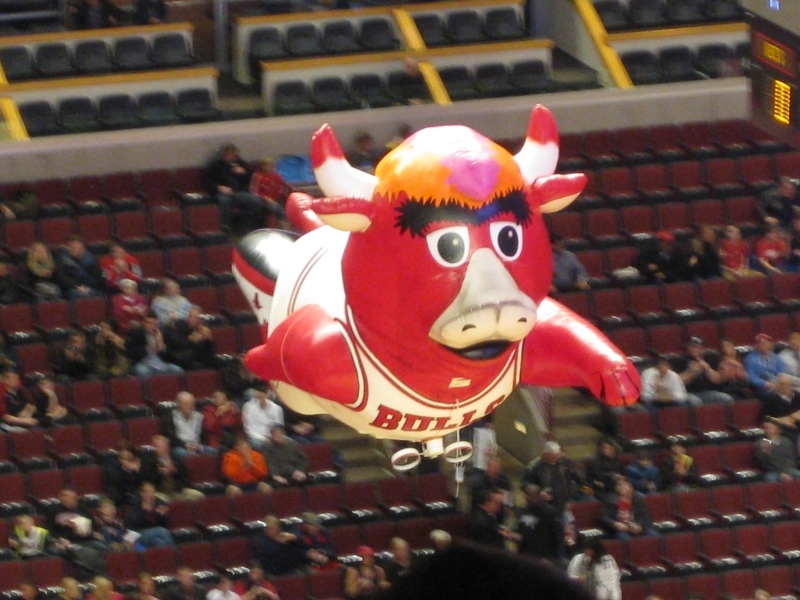 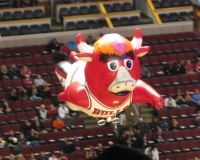 The new “Madhouse on Madison,” which replaced venerable old Chicago Stadium in 1994, hosted the second run of three straight NBA championships by the Michael Jordan-led Bulls from 1996 to ’98, and more recently saw its other main tenant, the NHL Blackhawks, win three Stanley Cups over a six-season span (2010-15). 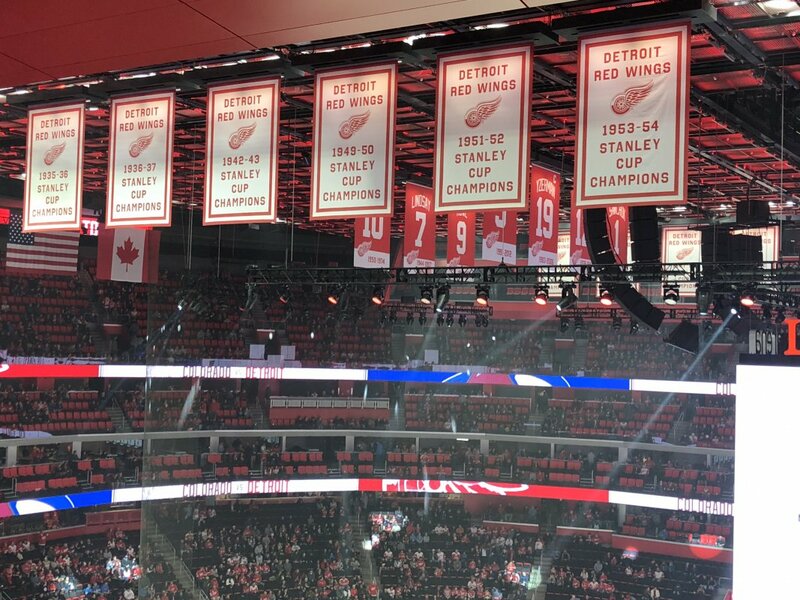 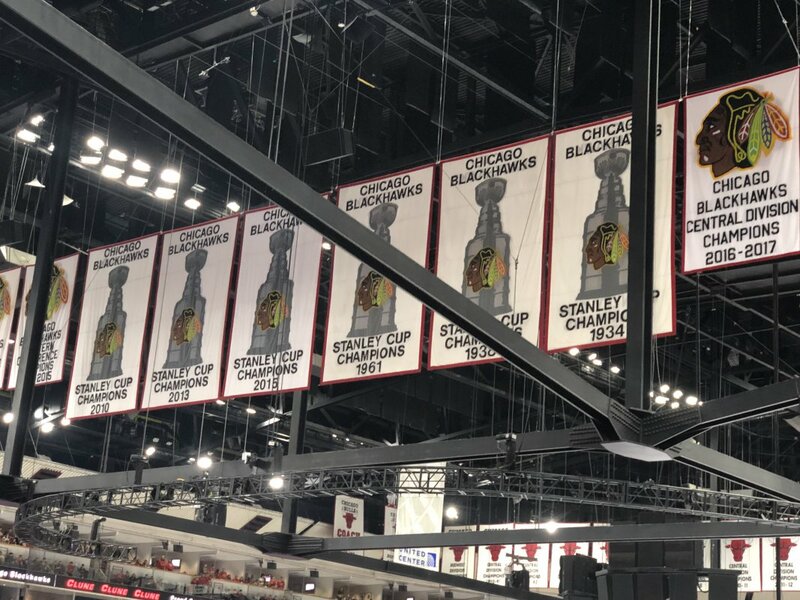 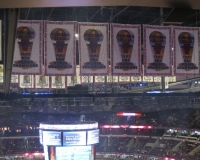 If your first assumption about United Center is that there must be a lot of banners hanging from its rafters, you’d be right. 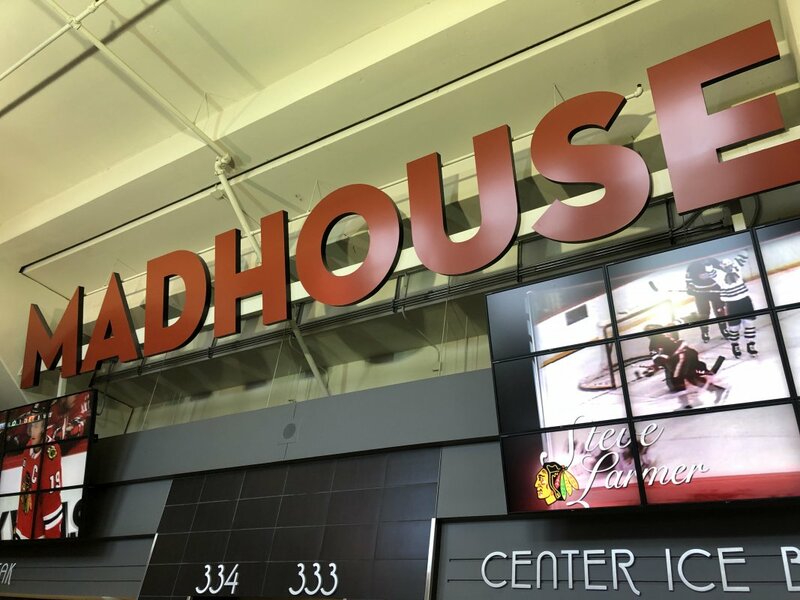 But there’s much more to see at the new Madhouse, both for new visitors and returnees alike — as much has changed over the years. 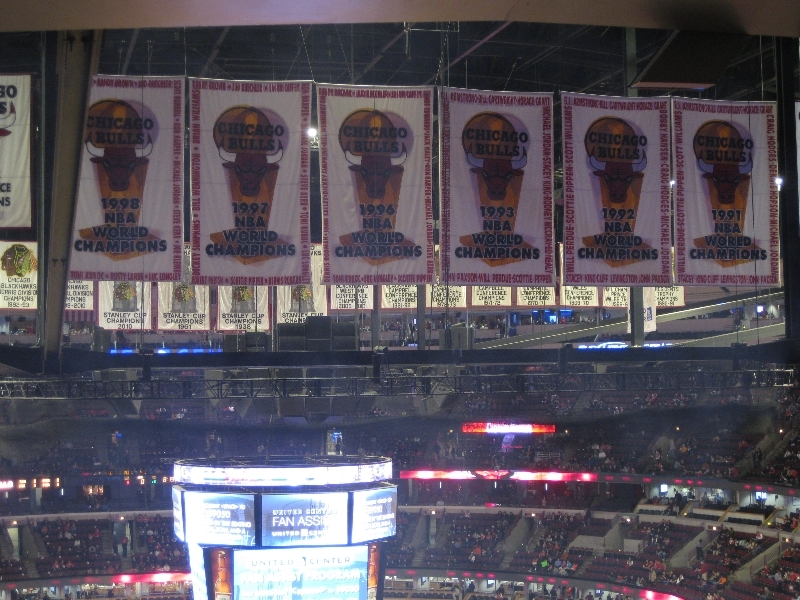 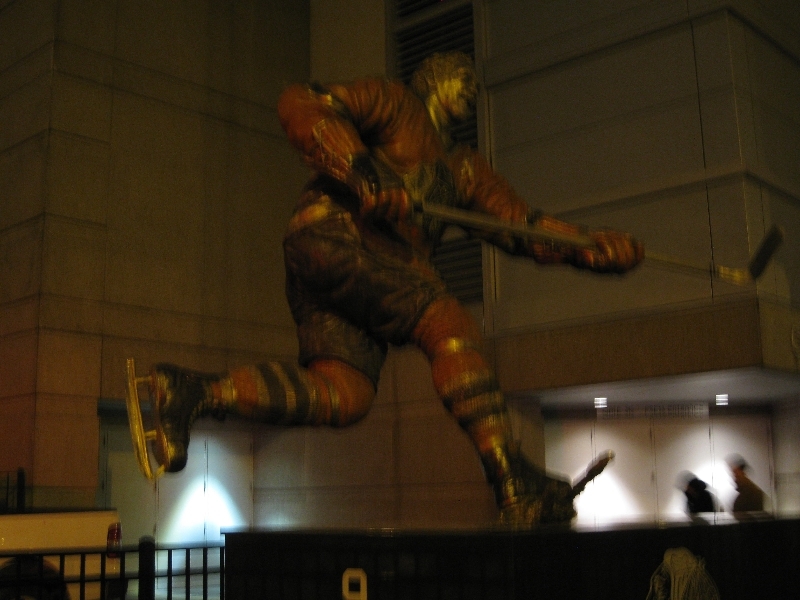 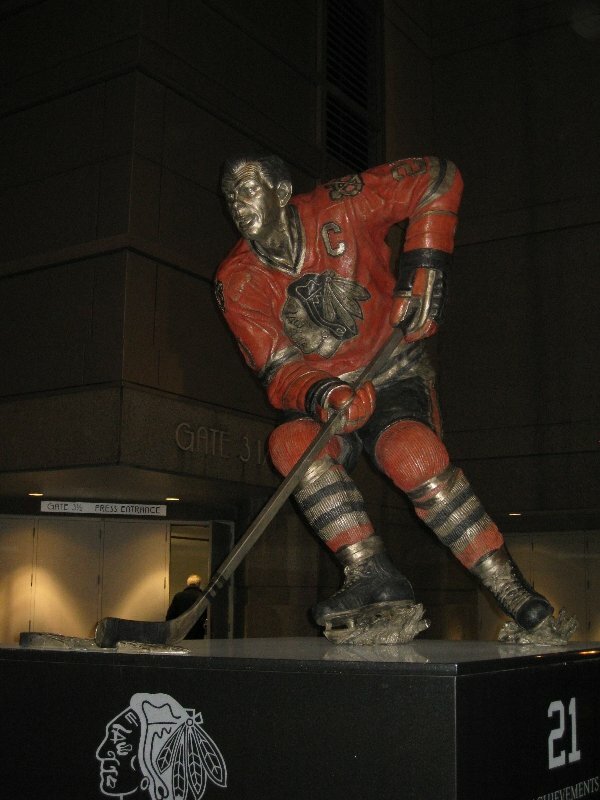 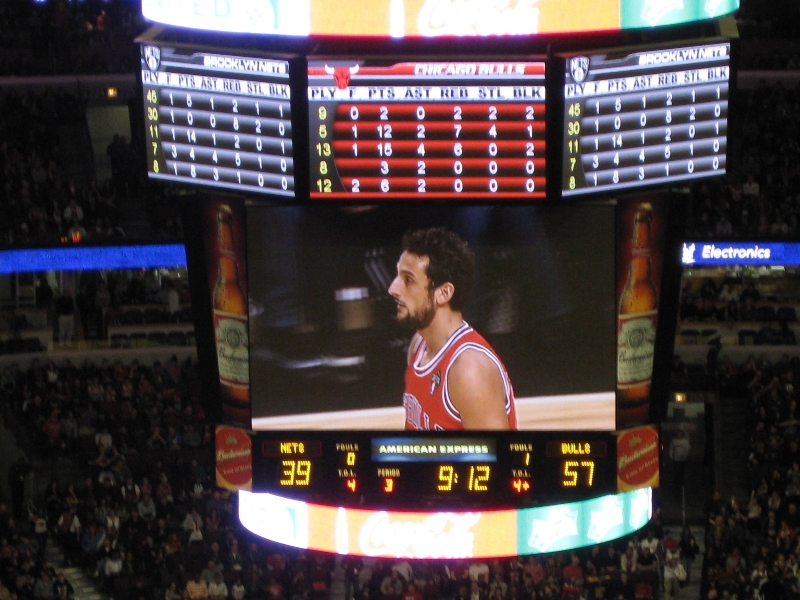 And while United Center is worth visiting for the history, it’s also worth staying for the atmosphere. 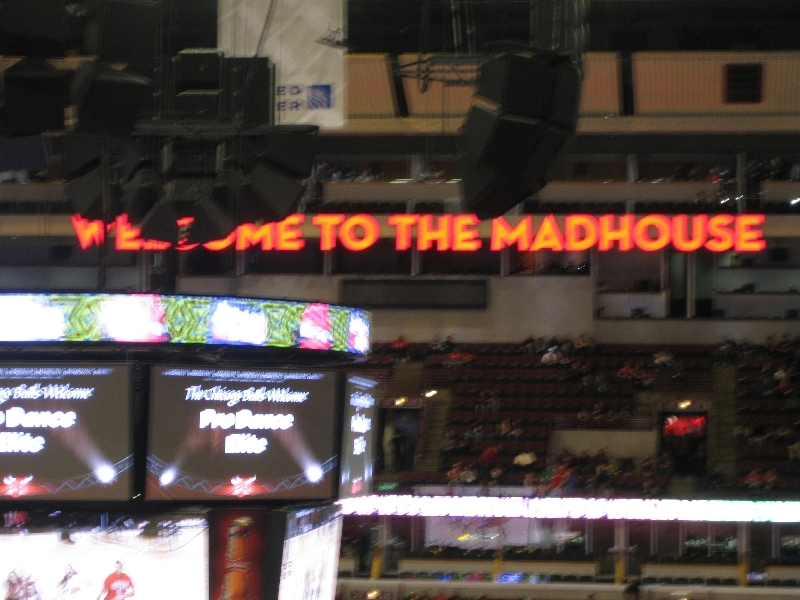 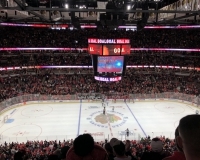 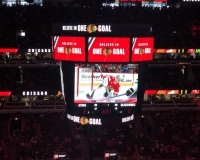 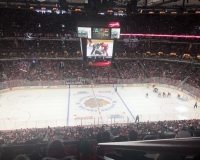 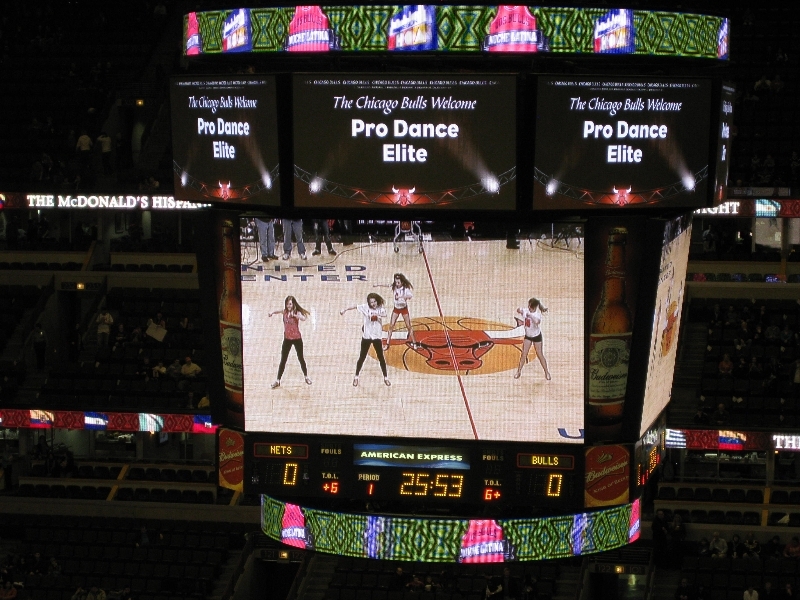 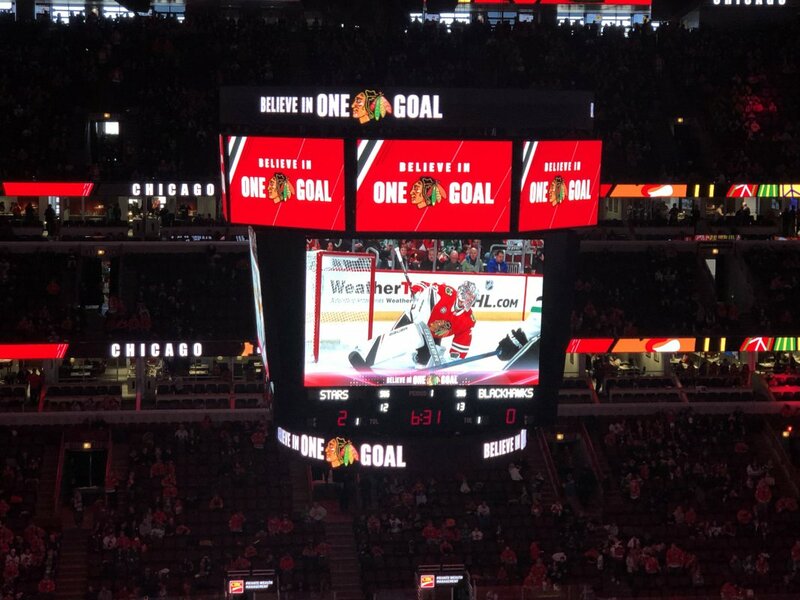 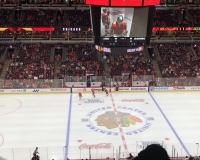 Both the Blackhawks and Bulls go out of their way to ratchet up the fan experience. 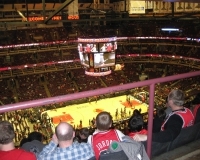 For more on visiting Chicago, check out our Chicago city guide. 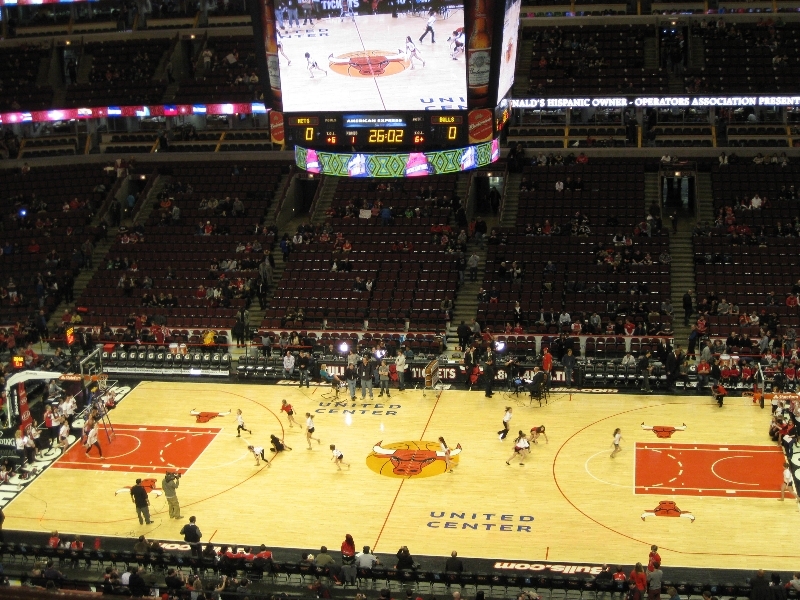 United Center lies just outside the core of Chicago’s Loop area, in a neighborhood known as the Near West Side. 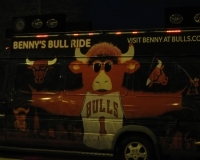 For visitors to the city, this presents a bit of a challenge in getting to the arena, but options do exist if you are trying to get there without driving. 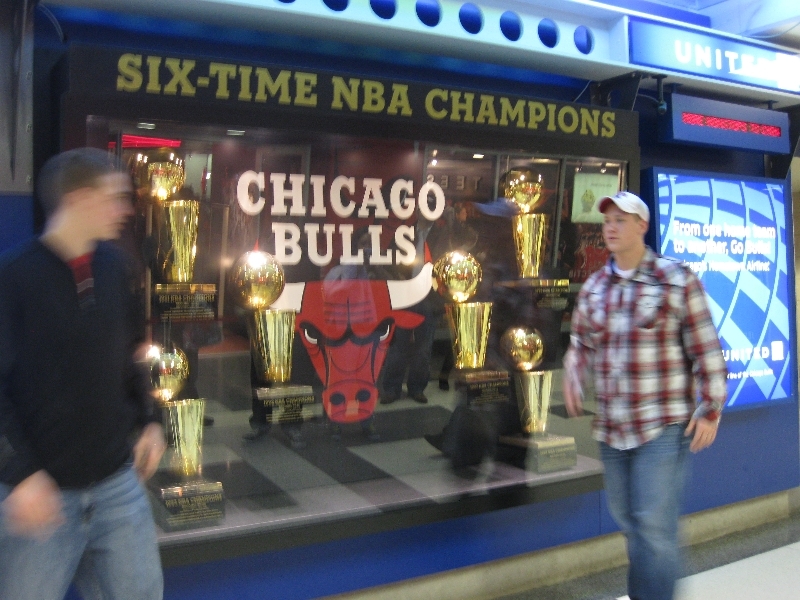 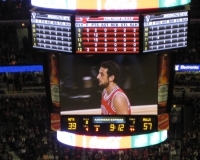 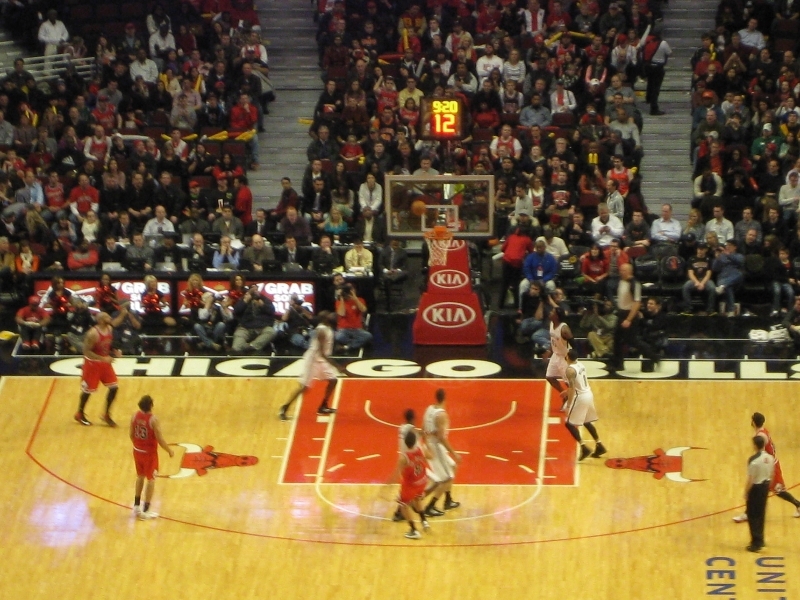 The Chicago Transportation Authority (CTA) runs express buses for United Center events. 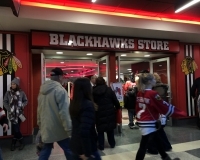 Line #19 originates at Michigan and Randolph streets in the Loop and runs westward to the arena, with limited stops. 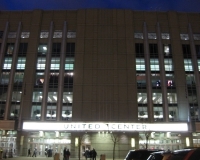 There are also several local lines that run by the UC. 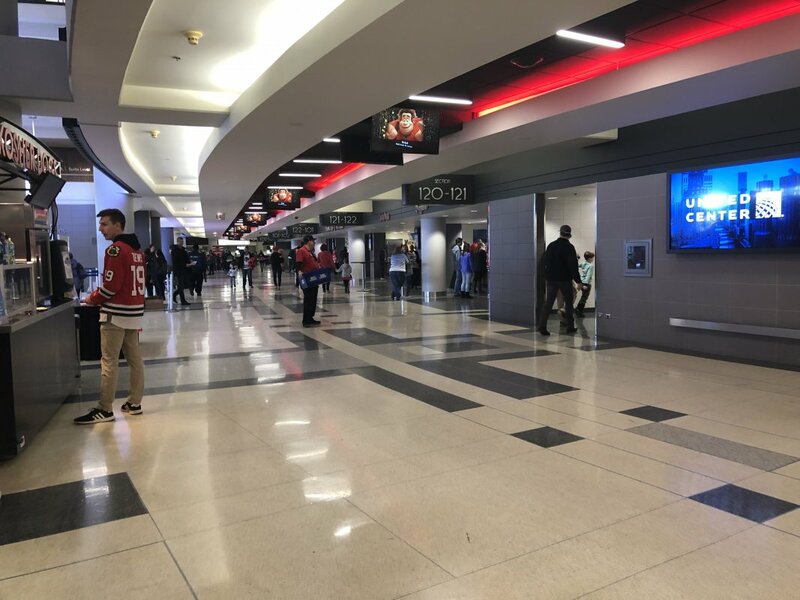 It is possible to get to games via the CTA subway, known locally as “the L,” but doing so requires more walking — a less-than-desirable option in the dead of Chicago’s winters. 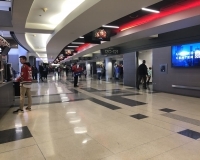 The Illinois Medical District stop on the Blue Line lies four blocks south via Damen Avenue, but offers a direct connection to the Loop, Near North and O’Hare Airport. 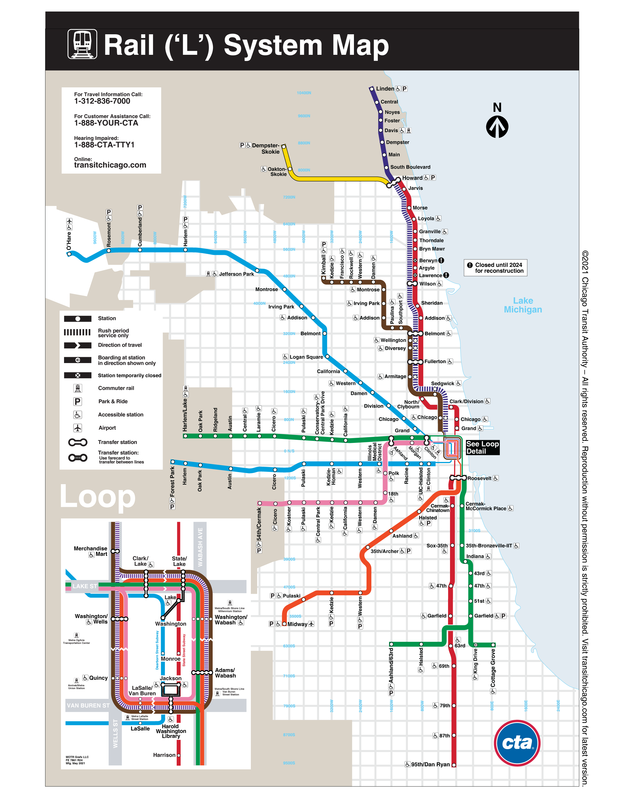 About seven blocks to the northeast is the Ashland station on the Green and Pink lines, both of which can also be used to reach the central city. 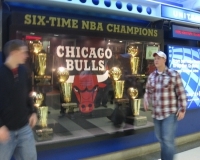 Click here for a CTA subway map. 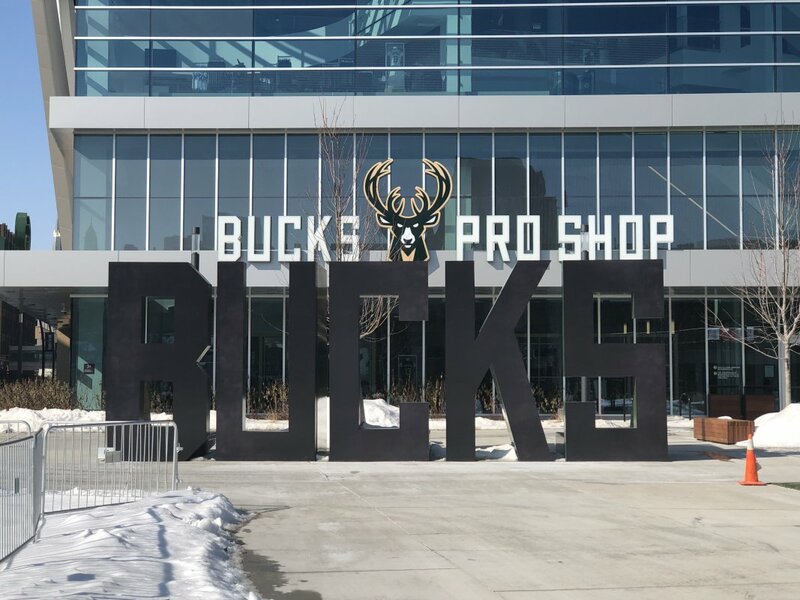 Rideshare services Uber and Lyft will both do dropoffs at the arena, and riders can specify which side — north (Madison Street) or south (Monroe Street) — they can be taken to. 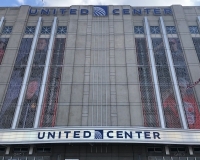 Drivers will find a number of surface parking lots surrounding the arena, though the closest ones are reserved for premium permit holders. 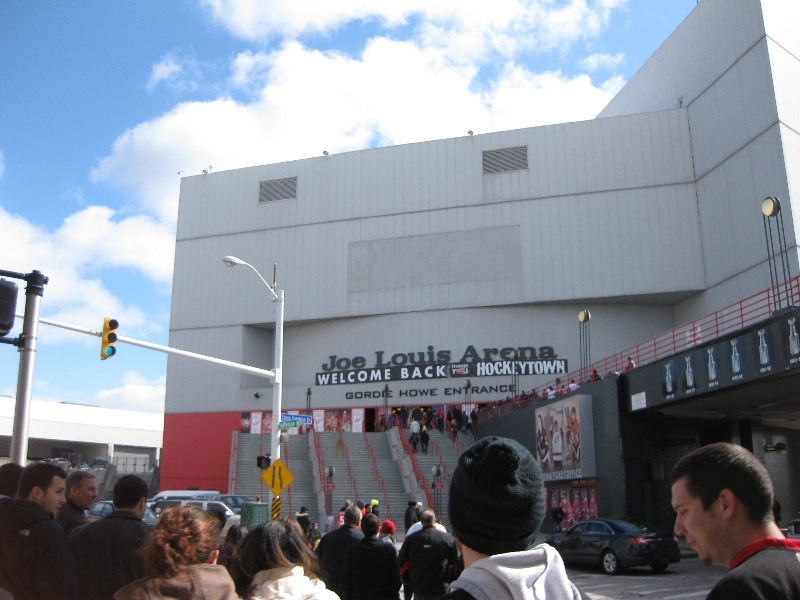 There is also a structure at neighboring Malcolm X College that is used on game nights. 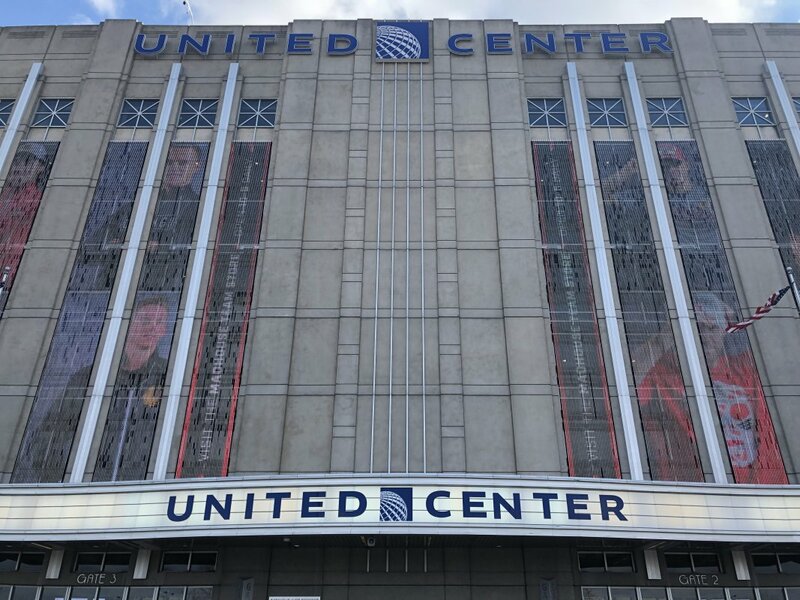 Drive-up parking rates as of 2019 began at $40. 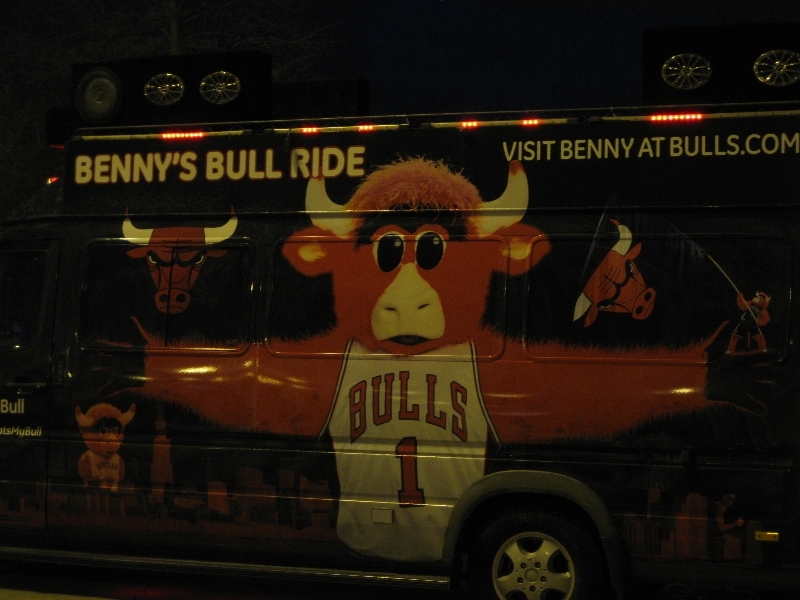 For more information on parking and directions, click here. 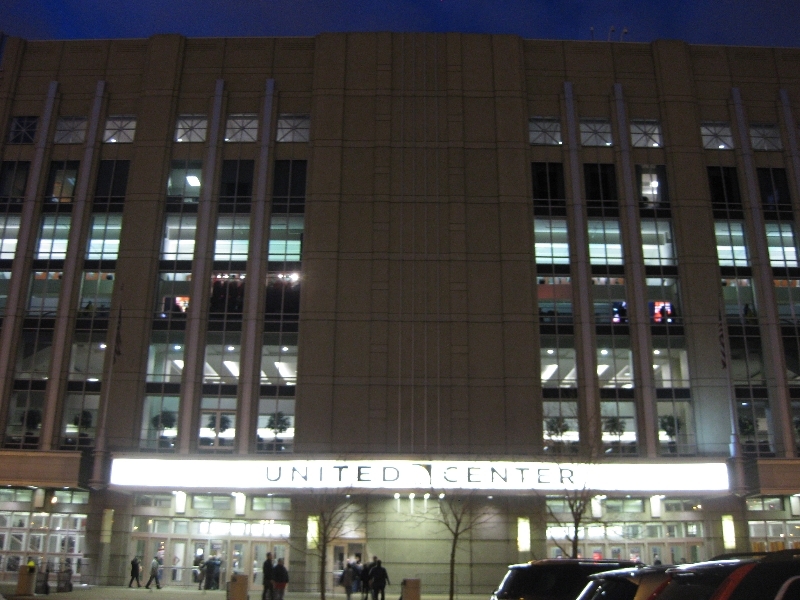 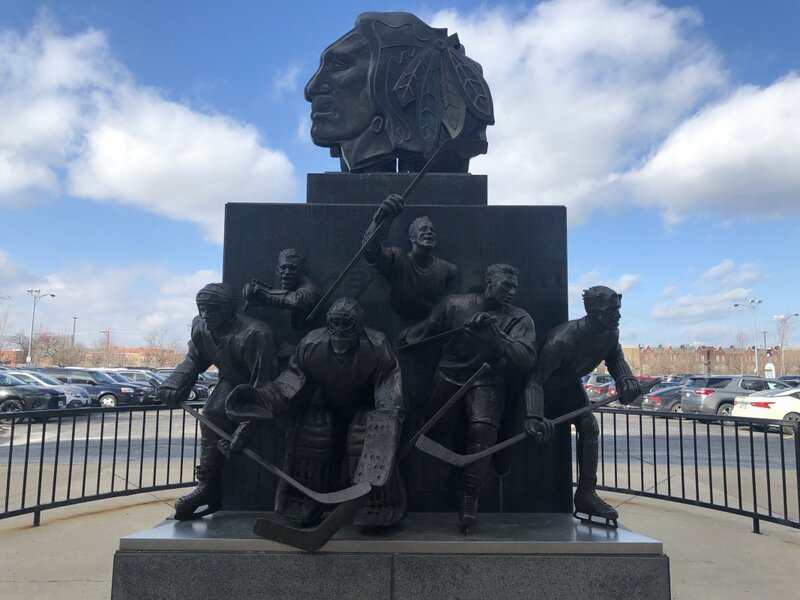 For many years the area around United Center was just a quiet neighborhood, meaning fans coming to games had to look elsewhere to entertain themselves beforehand. 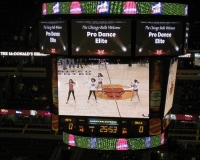 But that has slowly been changing in recent years, with a few more options springing up. 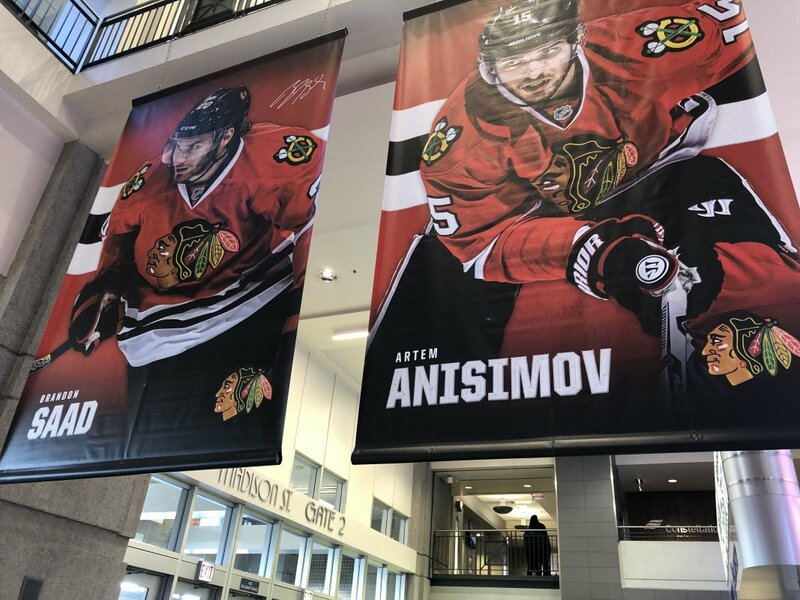 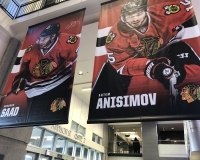 The most prominent is attached to the arena itself — a new atrium opened up on the facility’s east side in 2017, featuring a larger team store for both the Bulls and Blackhawks, a bar and a sit-down restaurant. 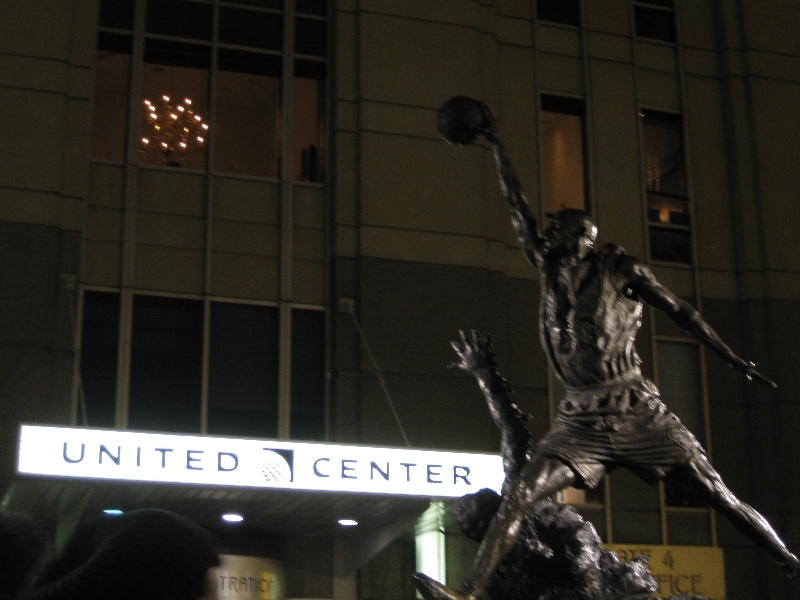 The Michael Jordan statue that once stood outside the arena has been moved inside the atrium, as well. 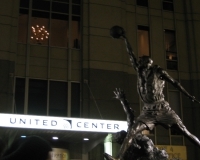 A few blocks to the east, along Ogden Avenue, you’ll find several other establishments, including a branch of the famed Billy Goat Tavern. 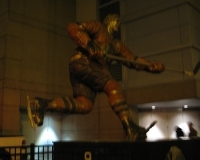 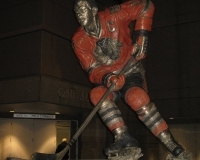 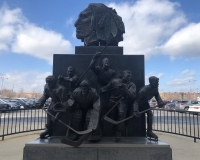 The atrium makes for a logical starting point for exploring United Center, but before you go through the turnstiles, make sure you take a quick walk along Madison Street, where you’ll see statues of Blackhawks legends Bobby Hull and Stan Mikita (still outdoors) as well as a Blackhawks tribute on the other side of the street. 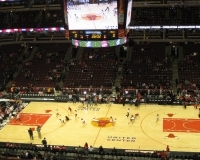 By capacity, United Center is the largest arena in the U.S., and there are places within the seating bowl where it certainly feels that way. 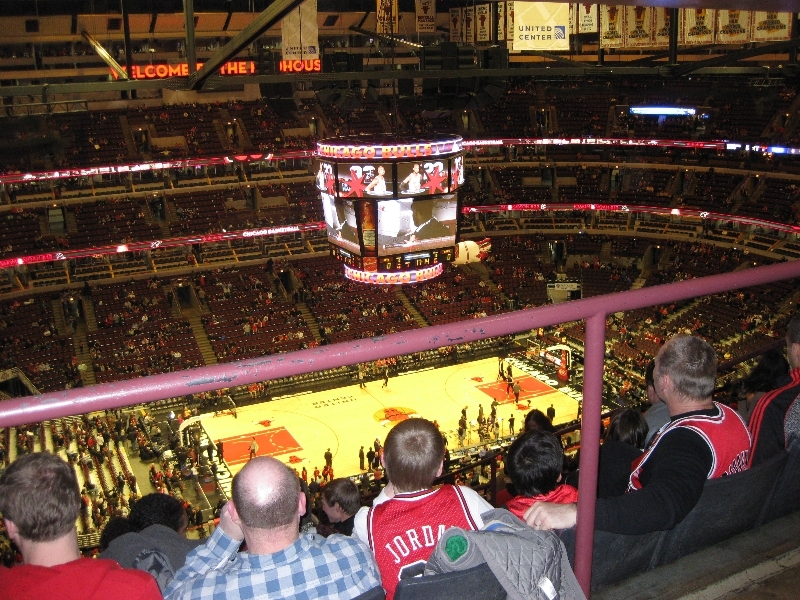 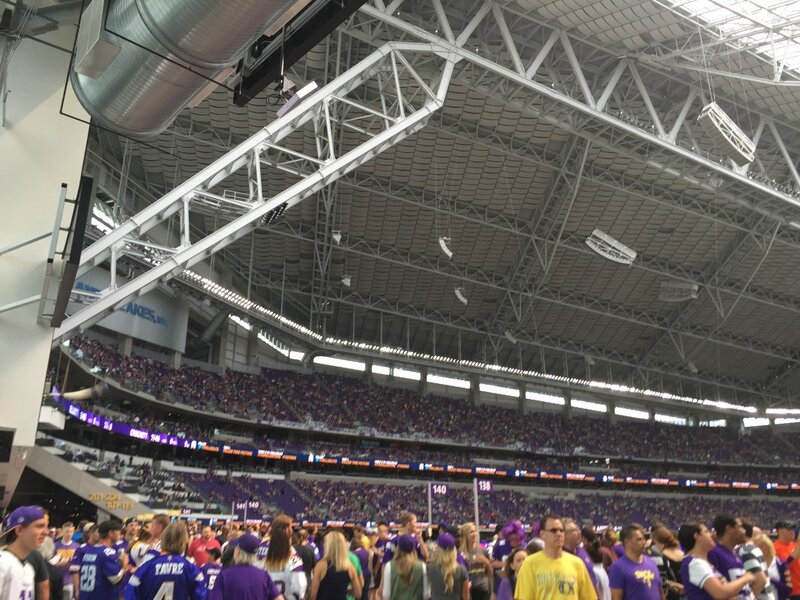 In general, the higher up you sit, the farther removed from the action you will feel — an obvious statement, for sure, but here you will definitely get a sense of how big the place is and how many people they’ve crammed into the building if you’re at the very top. 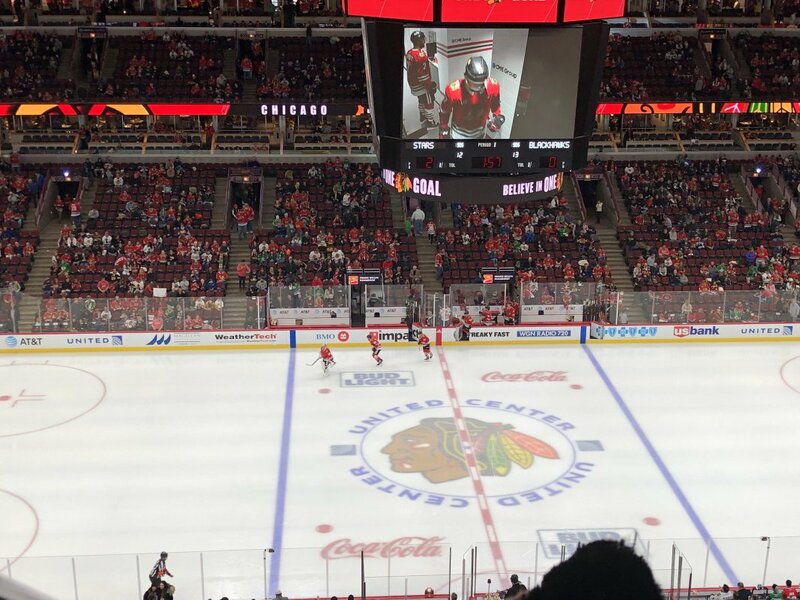 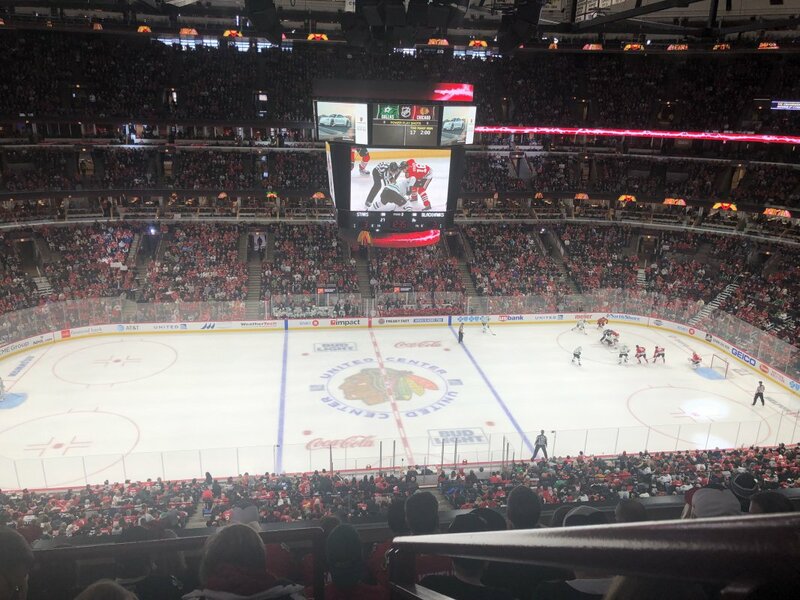 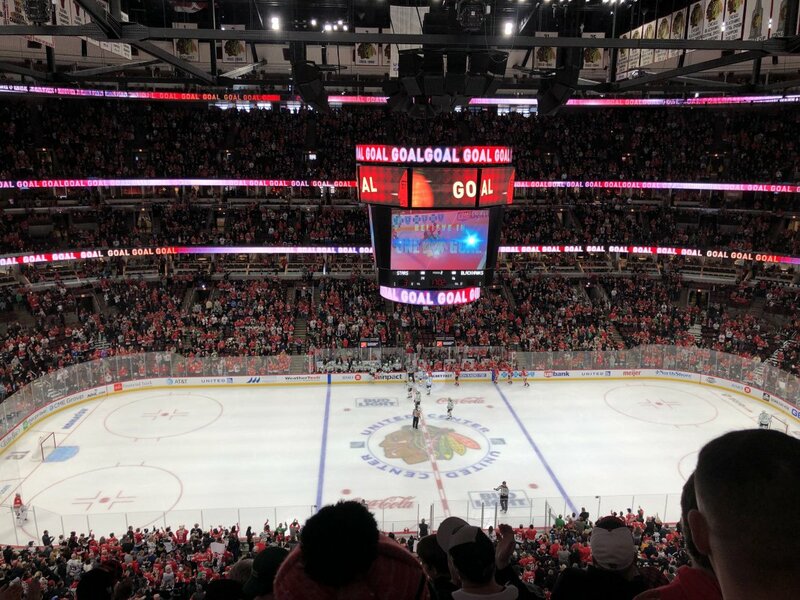 And at the UC, there are sizable standing-room only sections at the top where the view of the game is questionable at best. 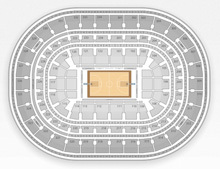 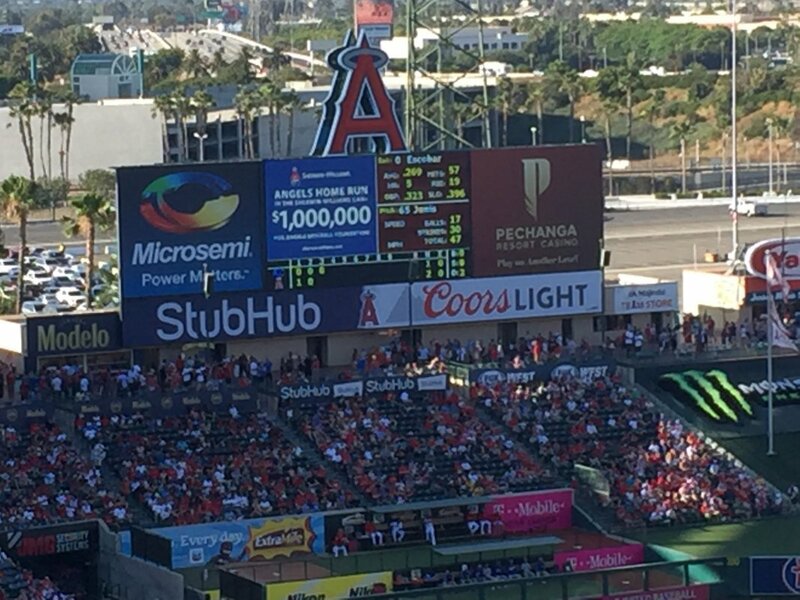 The moral above is, if you’re more there for the game than for the experience itself, don’t cheap out on tickets. 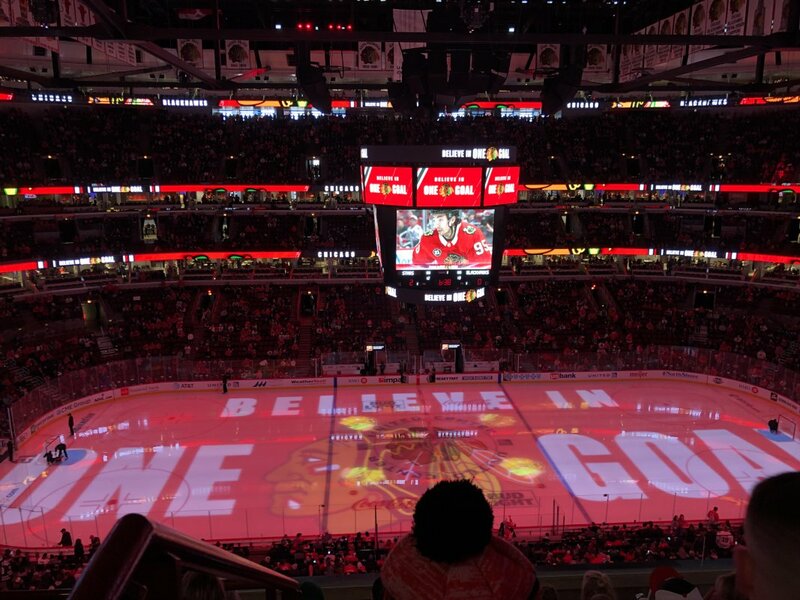 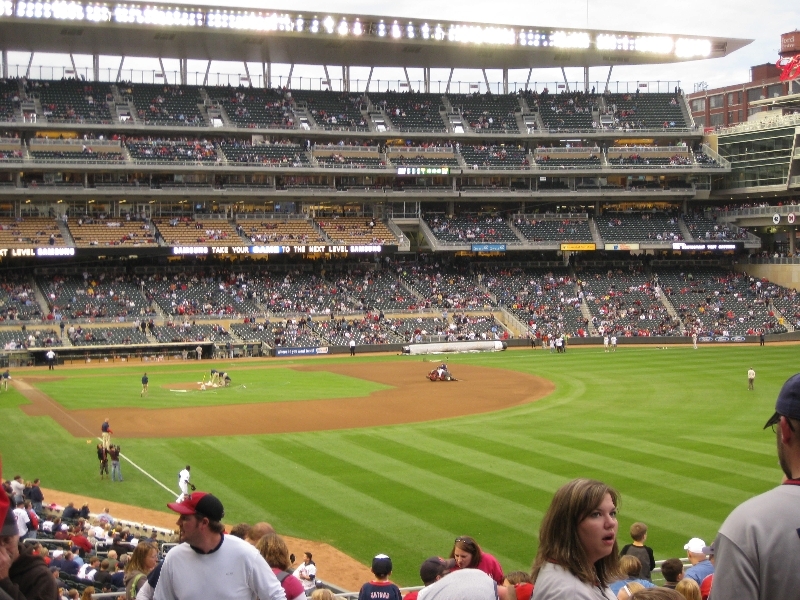 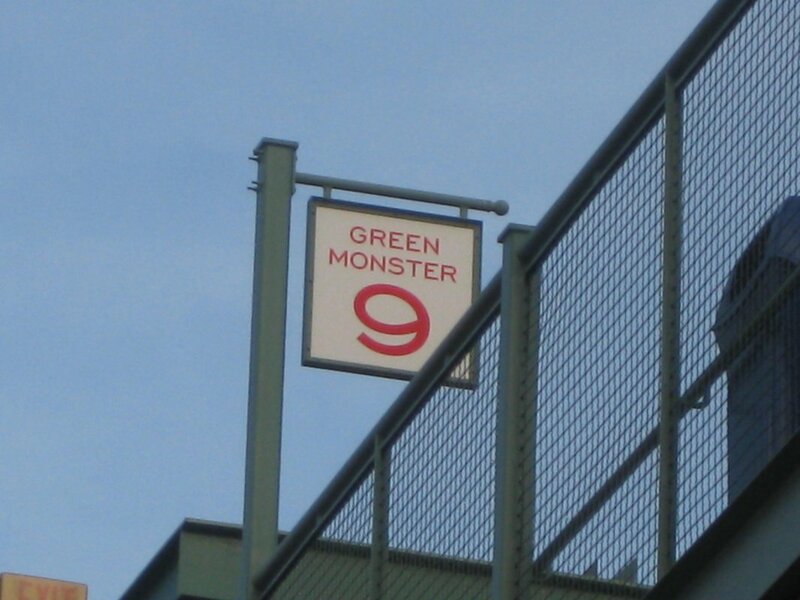 The good news is, as long as you’re not in the last 10 rows of the upper deck, your view should be pretty good. 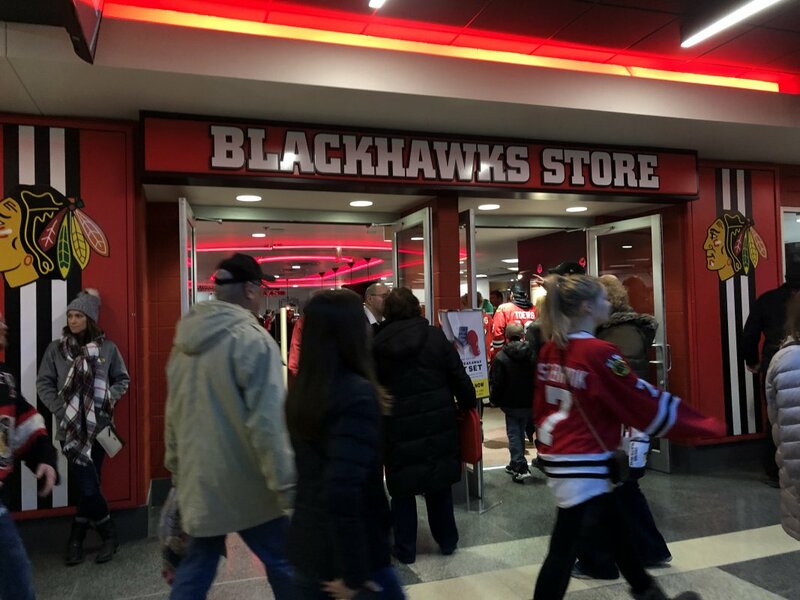 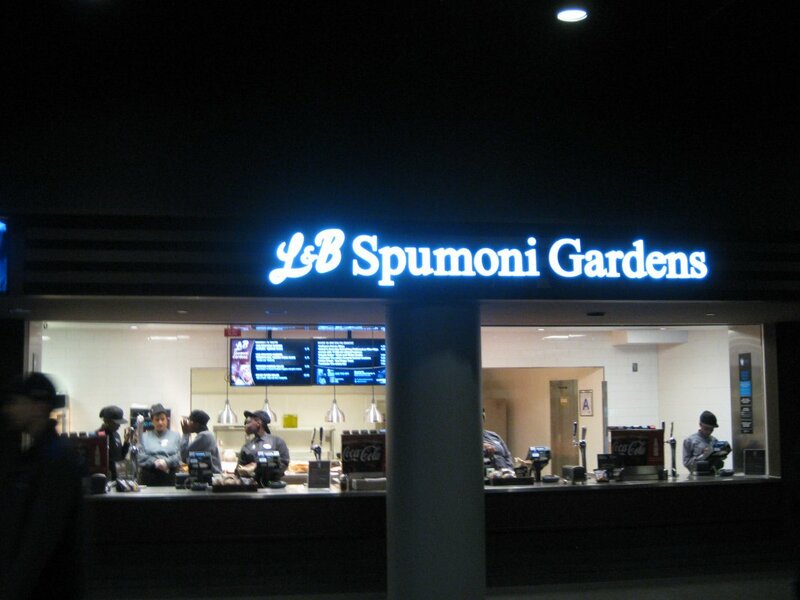 Like many arenas around the country, United Center has also improved its concessions offerings in recent years. 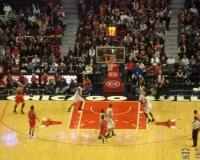 Chicago’s unique food scene is reflected in the presence of local establishments such as Giordano’s (for deep dish pizza) and Gibson’s Steakhouse (made famous nationally for its appearances in the TV series “The League”), as well as the Chicago Dish stands that offer items such as Chicago-style hot dogs, Italian beef sandwiches and Italian and Polish sausages. 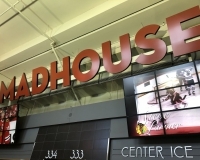 Beers from Goose Island Brewery, a local establishment that recently went national, are prevalent throughout the building. 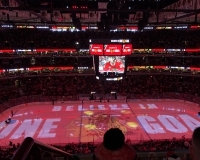 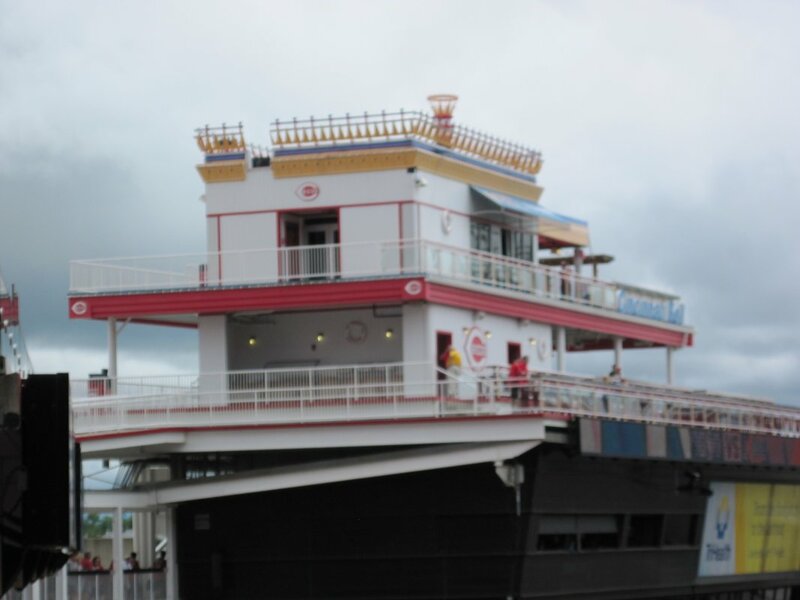 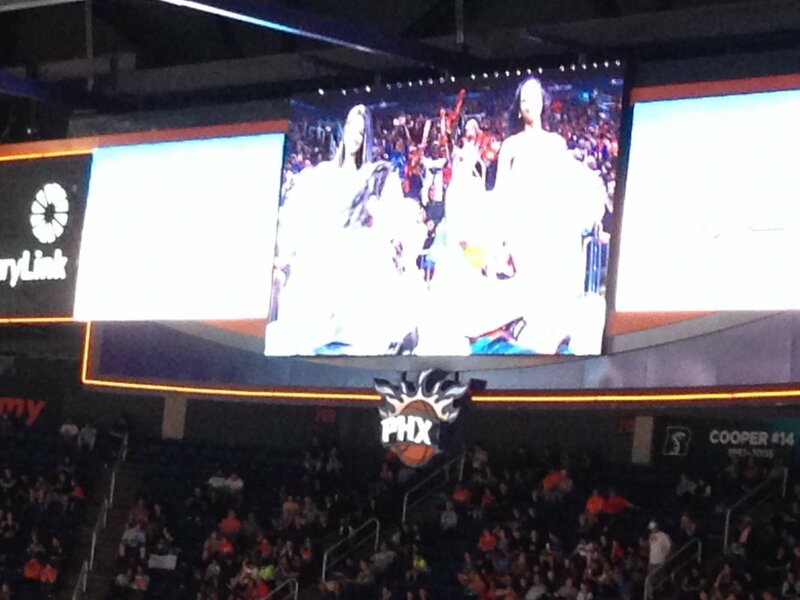 For more on concessions, click here.